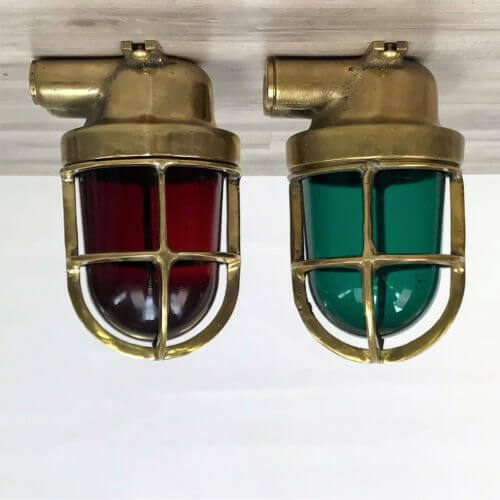 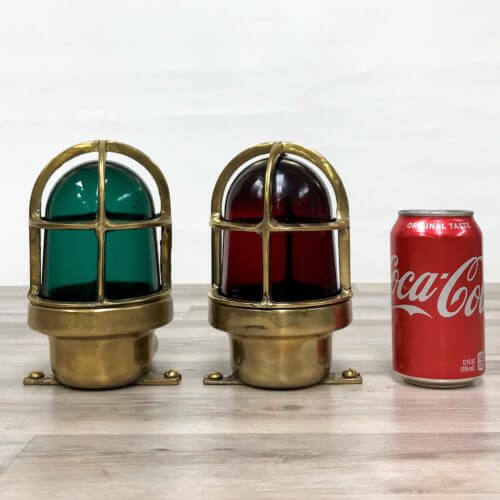 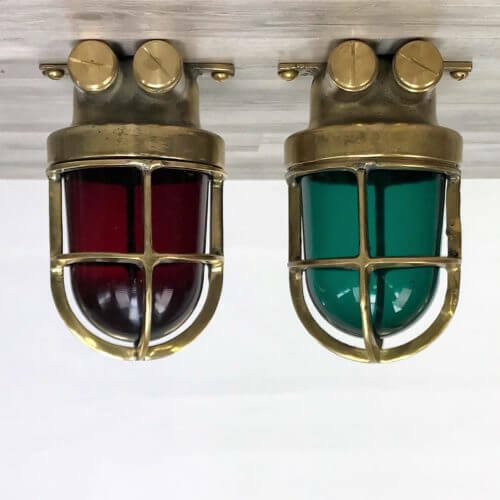 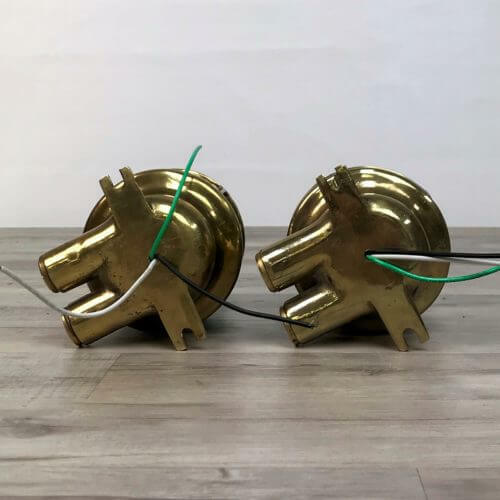 This set of small antique brass navigation ceiling lights measure 7 inches tall by 4 1/2 inches wide. 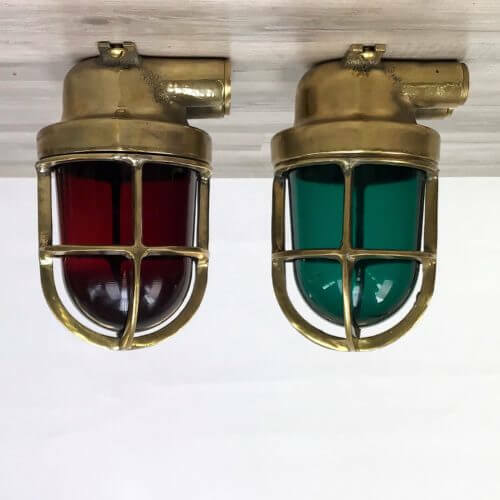 There is one red and one green globe in this set. 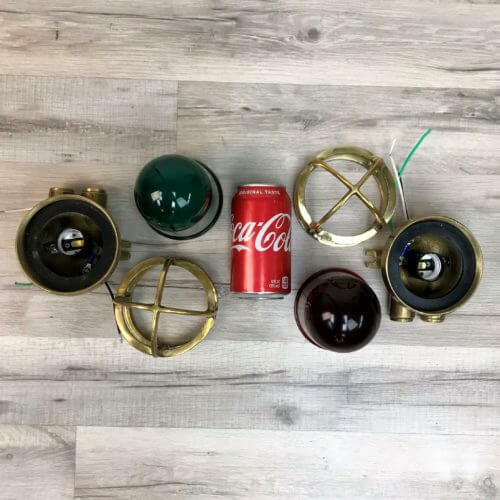 The globes are in great shape with only a few minor scratches. 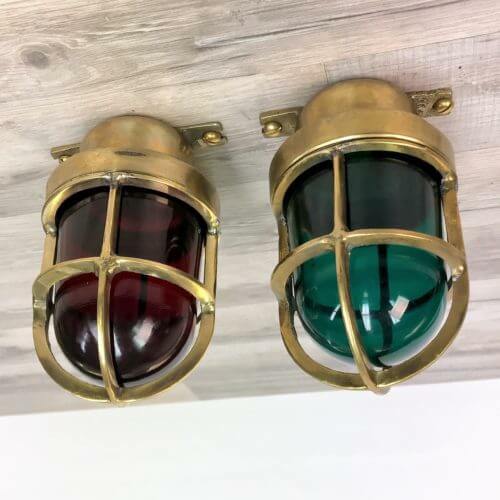 You will be shipped the small nautical ceiling lights shown in the photos because, we take new photos for each listing.